Discussion in 'Classifieds' started by E_308, Nov 5, 2018. I have a 54” snow plow that I bought for my artic cat atv. Mid machine mount. Used very little. Bought a new house with a smaller drive. Thought I’d offer it up here before craigslist! 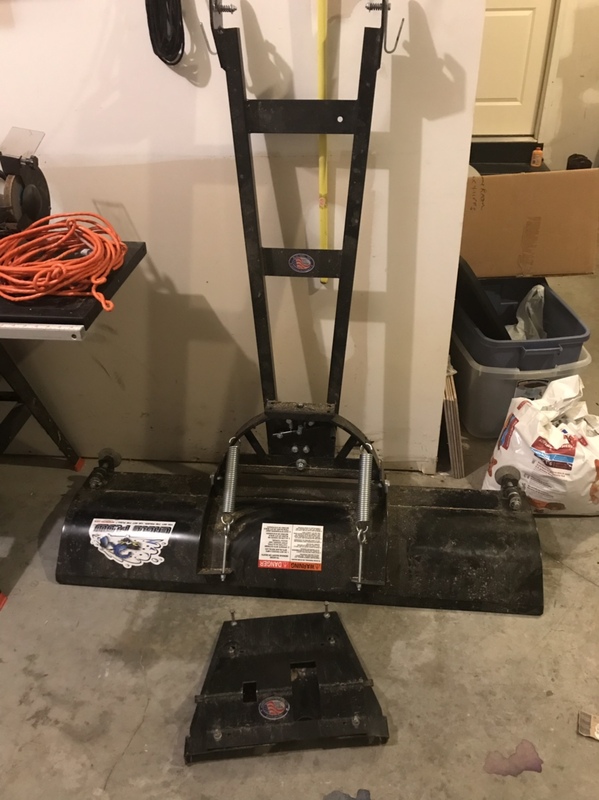 I paid around $500 for it, make an offer. Must pick up in Kansas City Mo.